THIS WEEK: Third Eye Blind, Australian hunks, Idaho hemp and Get Lit! The warm weather means it's construction season. The Spokesman and KXLY have round-ups here and here of what work the city will be tearing into. 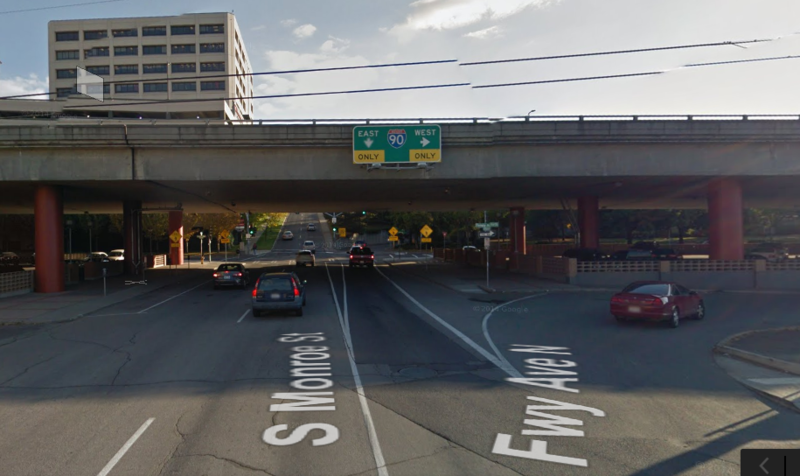 Of note is the closure of the Eastbound I-90 ramp on Monroe Street through April 22. Anthony Garver, who escaped from Western State Hospital and fled to the Spokane area, sparked a two-day manhunt that resulted in his capture. Now, officials in Spokane want changes to make sure it doesn't happen again. Gov. Butch Otter signed into law legislation that allows residents of the state to carry concealed weapons without a permit. “This new law may very well change how we do business,” Susan Jenkins, president of the Idaho Licensed Beverage Association, told the Coeur d'Alene Press, who also said her organization was upping its educational efforts. Republican presidential frontrunner Donal Trump is sharply criticizing Sen Ted Cruz's strategy of using party rules to secure more delegates despite getting fewer votes. Speaker of the House Paul Ryan says he's not running for president and isn't part of a plot to put him at the top of the Republican ticket. However, the New York Times reports that he's waging a campaign of ideas that runs parallel to the presidential race. Secretary of State John Kerry gave a speech at Hiroshima, Japan, a city where 140,000 people died after the U.S. dropped an atomic weapon on it 70 years ago. Although Kerry, the first U.S. secretary of state to visit the site, didn't he apologized, his speech emphasized the "gut-wrenching" nature of war and atomic weapons.